Calgary, Alta. 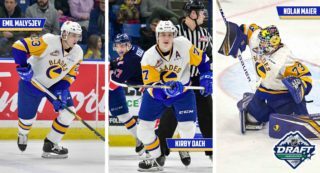 – The Western Hockey League announced today that Saskatoon Blades defenceman Dawson Davidson has been named the WHL On the Run Player of the Week for the week ending October 7, 2018. Davidson recorded eight points (1G-7A) and a plus-six rating in four games last week as the Blades rolled to a 3-1 record on their road trip through the province of Alberta. Tuesday in a narrow loss against the Red Deer Rebels, Davidson recorded an assist on each of the Blades’ first two goals in the contest. 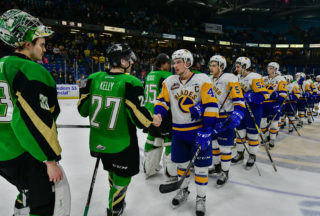 A night later in Edmonton, Davidson helped put an end to the Edmonton Oil Kings’ perfect season with a goal and another pair of assists. Davidson scored Saskatoon’s third goal of the contest at even strength while picking up assists on his team’s second and fifth goals. For his efforts, Davidson was named the third star of the game. With the Blades then heading south for a pair of contests, Davidson continued his production Friday against the Calgary Hitmen with a single assist in the team’s 3-0 victory. 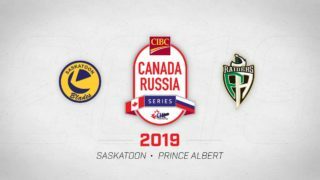 Davidson would also factor into a 3-2 shootout victory over the Lethbridge Hurricanes a night later, recording assists on both of Saskatoon’s goals, earning him second star of the game honours. A 20-year-old product of Moosomin, Sask., Davidson was originally selected by the Kamloops Blazers in the third round, 58th overall, of the 2013 WHL Bantam Draft. Since then, he’s appeared in 241 WHL regular season games with the Blazers, Regina Pats, and Blades, recording 128 points (26G-102A), featuring 12 power-play goals, one short-handed goal, and four game-winning goals. Davidson has also appeared in 18 WHL playoff games, recording five points (2G-3A), including one power-play goal. The 5-foot-11, 181-pound left-shot defenceman has 12 points (2G-10A) in eight games this season, making him one of three Blades skaters, along with 2019 NHL Draft prospect Kirby Dach and Washington Capitals prospect Eric Florchuk, to be averaging a point-per-game or better this season. Davidson also leads the WHL in defensive scoring this season. 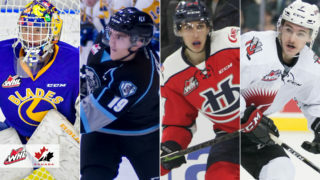 Davidson is the first WHL defenceman to earn WHL On the Run Player of the Week honours this season and the first rear guard to do so since Tri-City Americans defenceman Jake Bean earned the award for the week ending April 15, 2018 during the 2018 WHL Playoffs. 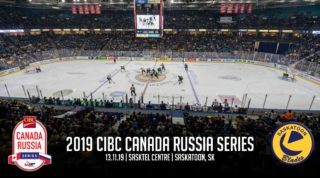 Davidson and the Blades open up a five-game home stand when they play host to the Rebels on Friday, October 12 (7:00 p.m. MT) at the SaskTel Centre.